The current system is simple: the defendant in a legal case has to pay for all court costs if they lose. This includes not only their own, but the claimant’s court costs as well. Injured parties rejoice, because it means that “no win no fee” truly means that it says. However, new legislation is being passed to change all that. 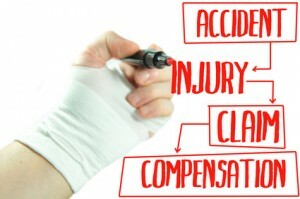 From April 2013 onward, claimants will be asked to handle the success fee (the fee the solicitor gets paid due to the risk of taking on your case), insurance costs, and nearly 25% of damages. You can no longer recover those from the defendant. So if you’re the victim of a bad accident and you lose, you’ll have to contribute towards the cost of bringing that case. This is something that UK consumers are outraged at, because in the event of complex legal cases (brain and spinal cord injuries), the 25% figure can be quite high. It means that if your compensation package isn’t going to really provide you with a comfortable life, it definitely won’t once the solicitors take their share. On the flip side, this means that there are more solicitors available that will take on these cases. The time it takes to truly get compensation in court is long. Solicitors have to make a living and handle their own overhead costs as well. Legal representation is expensive, and the claimant should contribute something. It would also get people to think twice about jumping into litigation. If you get a settlement, you might want to look at how that compensation would affect you before just shrugging it off. Check it out today!